I am writing an article on Holst's The Planets, which will include a small discography section. There are 2 recordings I would like to include, listed below, but am missing some minor info. Hilary Davan Wetton's Collins Classics CD. I know it was recorded at All Saints' Church, Tooting in 1989. I was hoping to find out the month it was recorded. I don't have a copy of the CD. I've searched quite a bit on line with no luck. I'm having the same trouble with George Hurst's recording. It's my understanding that it was taped at Southampton Guildhall in 1974. Again, I'd like to know the month it was recorded, if anyone out there happens to know. If anyone has a copy of the Davan Wetton Collins Classics Planets to sell, I would be interested. Posted by Joe on January 11, 2011, 9:11 am, in reply to "Re: seeking info on 2 Holst Planets recordings (Davan Wetton, Hurst)"
Posted by christopher breunig on September 25, 2011, 8:28 pm, in reply to "Re: seeking info on 2 Holst Planets recordings (Davan Wetton, Hurst)"
Tony (should you ever revisit this site! ): did you come across the Gramophone archived page about the Everyman version etc? Posted by Joe Moore on August 24, 2011, 11:29 am, in reply to "Re: seeking info on 2 Holst Planets recordings (Davan Wetton, Hurst)"
Posted by Peter Scott on February 27, 2015, 3:36 am, in reply to "Re: seeking info on 2 Holst Planets recordings (Davan Wetton, Hurst)"
I've reviewed 72 so far, and will rank them once I've reviewed all the recordings I've found. There's only one recording I can't get hold of, and it's the recording you made in 1989 with the London Philharmonic, and released on the Collins Classics label. Do you have a spare copy that you're able (or, more importantly, willing) to send me so I can hear it and finish the list? Thanks for any help you can provide to a relatively desperate man. 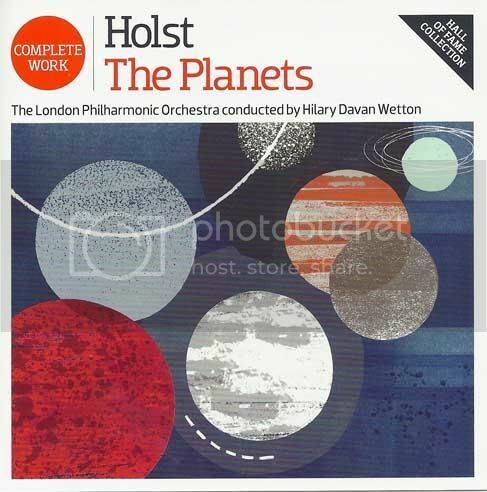 Posted by nick barnard on March 1, 2015, 3:01 pm, in reply to "Re: seeking info on 2 Holst Planets recordings (Davan Wetton, Hurst)"
Peter - if this helps; I have a copy of this disc and would be happy to dropbox you the music files or send you a copy if you supply either an e-mail address or a home address. Posted by Nick Barnard on August 16, 2016, 1:38 pm, in reply to "Re: seeking info on 2 Holst Planets recordings (Davan Wetton, Hurst)"
Peter - that's exactly the copy/version I have trawled from a local charity shop. I hope you enjoyed it! Posted by Peter Scott on August 17, 2016, 12:22 am, in reply to "Re: seeking info on 2 Holst Planets recordings (Davan Wetton, Hurst)"
I did – especially "Mars".